I have a date coming up! Do you have any outfit ideas for a summertime date? Whoa-oh, oh those summer nights! There’s something extra magical about those long summer evenings, especially if you’re sharing it with a special someone. Wondering what to wear to your next summer date? We’ve got it covered. Take a peek at our favorite outfits for a summer date night. When the temps stay high as the starry skies, head outdoors to enjoy rooftop cocktails in a simple one shoulder top and jeans. We like to skip out on dark wash denim and swap for a lighter pair to keep cool. Just add sandals, a swipe of lip gloss and a breath mint! Did you date secure reservations for a dinner al fresco? 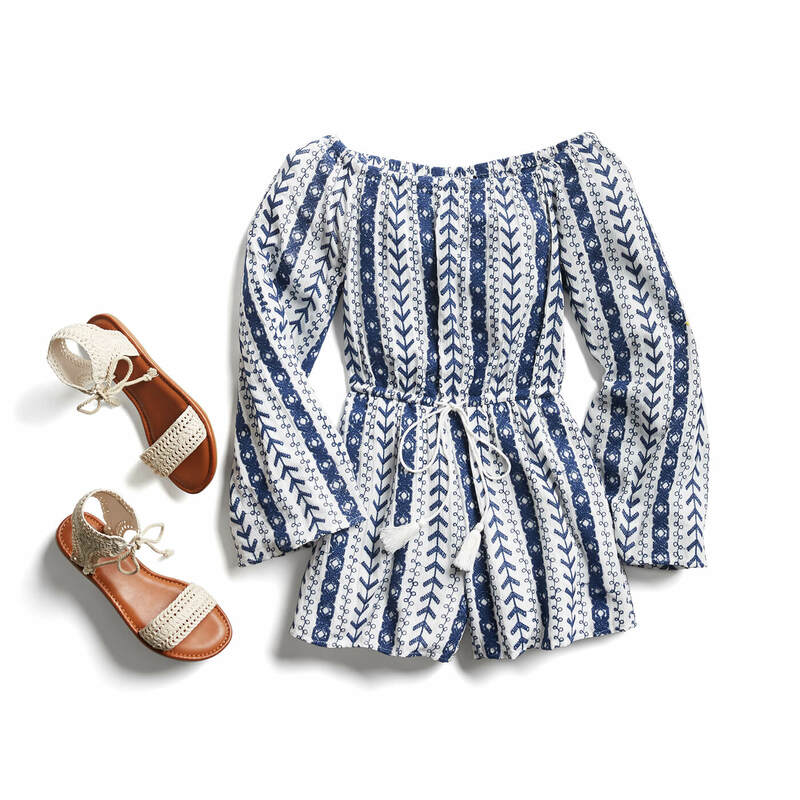 Keep your cool even when your heart’s racing with an easy-to-wear romper and sandals. If showing leg isn’t your thing, go for a jumper instead. A trip to the fair or farmer’s market is an easy way to embrace the simple sweetness of summer evenings. Cuddle up next to your partner on the ferris wheel, or stroll hand-in-hand past the produce stalls in slip-on sneakers, printed shorts and a cotton tee. Keep a chambray top tied around your waist, just in case the summer breeze kicks in. Need more style advice on a date night outfit? Go ahead and ask! The post I have a date coming up! Do you have any outfit ideas for a summertime date? appeared first on Stitch Fix Style.